A camellia in bloom at Descanso Gardens. Image courtesy of Descanso Gardens. Through a special partnership agreement, all JANM members are invited to visit Descanso Gardens this Sunday, March 1, free of charge. Located 20 minutes north of downtown Los Angeles, Descanso Gardens is a 160-acre nature preserve known for its botanical collections and seasonal horticultural displays. This weekend will be an especially good time to visit as the Gardens will be hosting their annual Camellia and Tea Festival, during which patrons can enjoy the blooming camellias and participate in a variety of celebratory activities. 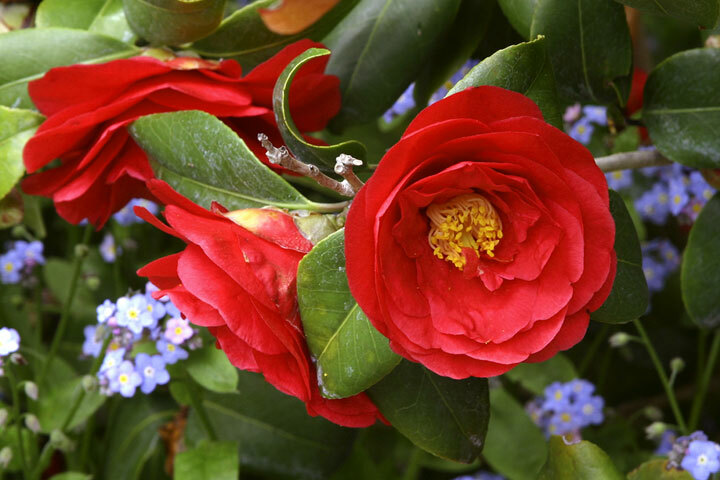 The camellia collection at Descanso Gardens is said to be the largest in the world; it boasts rare and familiar camellias and has been designated an International Camellia Garden of Excellence by the International Camellia Society. The collection is worth seeing for these reasons alone, however, its origins are also closely tied to Japanese American history, giving it an added significance for members and friends of JANM. Descanso Gardens started out as Rancho del Descanso, the home and ranch of newspaper publisher E. Manchester Boddy. 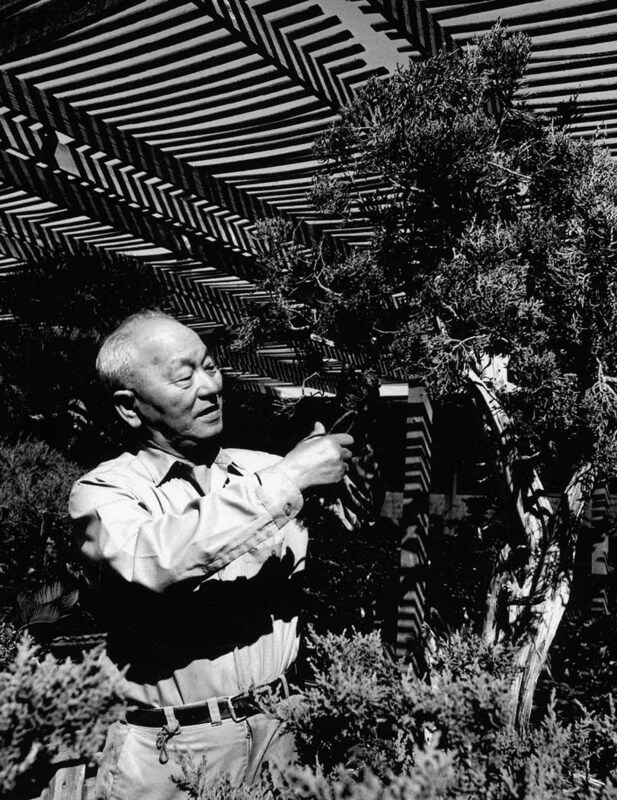 A horticultural enthusiast with a particular interest in plants of Asian origin, Boddy started a camellia collection in the 1930s with plants purchased from local nurseries, some of which were owned and operated by Japanese Americans. F. M. Uyematsu, owner of Star Nursery. Image courtesy of Descanso Gardens. When Japanese Americans faced mass incarceration following Japan’s bombing of Pearl Harbor during World War II, Boddy was sympathetic to their plight. He admired Japanese culture and had in fact written a book in 1921, Japanese in America, extolling the contributions of Japanese immigrants. Boddy decided to purchase the entire camellia inventory of the Star Nursery, owned by the Uyematsu family, prior to their removal to Manzanar. He also purchased the Mission Nursery business owned by the Yoshimura family in San Gabriel, continuing to operate it while the family was imprisoned at Gila River. Unlike many opportunistic investors who offered to buy the nurseries at a fraction of their value, Boddy paid fair prices to the Uyematsus and the Yoshimuras, enabling both families to put their financial affairs in order before being incarcerated. The camellias from Star Nursery were planted in the shade of live oak trees on about 25 acres of Boddy’s property, where they continue to flourish today. After the war, Boddy closed down the Mission Nursery and moved all of its stock to his estate. 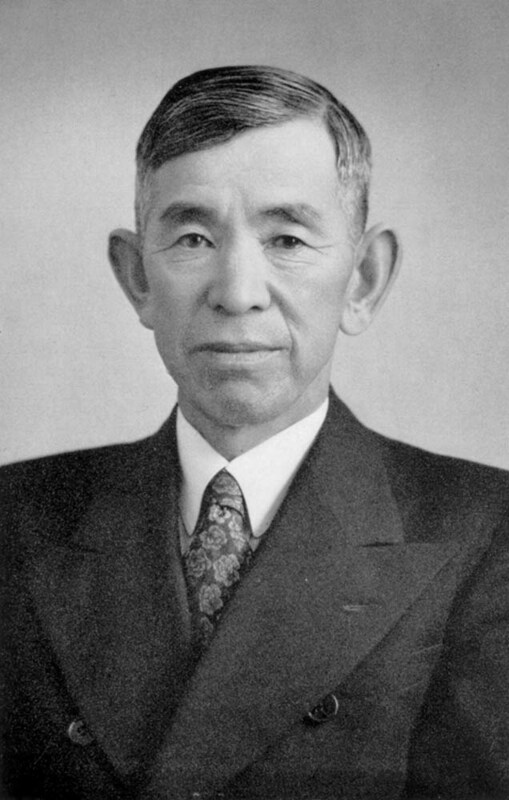 F. W. Yoshimura, son of the founder of Mission Nursery and then, after release from Gila River, founder of the San Gabriel Nursery in San Gabriel. Image courtesy of Descanso Gardens. In 1953, Boddy sold his home and ranch to the County of Los Angeles. A volunteer-run support group called the Descanso Gardens Guild, formed in 1957, took over the management and development of the property, eventually turning it into the public institution it is today. A more detailed version of this story is available on discovernikkei.org. You can also read a history of the Mission Nursery, which was reincarnated after the war as the San Gabriel Nursery and Florist, here. If you are a JANM member, simply present your current membership card to receive FREE admission to Descanso Gardens this Sunday.